Created with the desire to develop knowledge of Early Music in Taiwan, Formosa Baroque had its first country-wide tour in March 2016. The ensemble is comprised of young musicians originally from Asia ( Taiwan, Japan, China, Korea...), who finished their Early Music studies in some of the major music conservatories of Europe, performing on original instruments under the guidance of eminent musicians such as François Fernandez, Marc Hantai, Rainer Zipperling, François Guerrier, Marc Mauillon, Pierre Hantai…. Since 2010 under the direction of Baroque flutist Yifen Chen of the Taiwan Early Music Society, the orchestra became part of projects including Chamber music tours, masterclasses, a number of workshops specifically designed for a young audience to discover the richness of the Early music repertoire, and at the same time with the wish to see its continued growth in Taiwan. 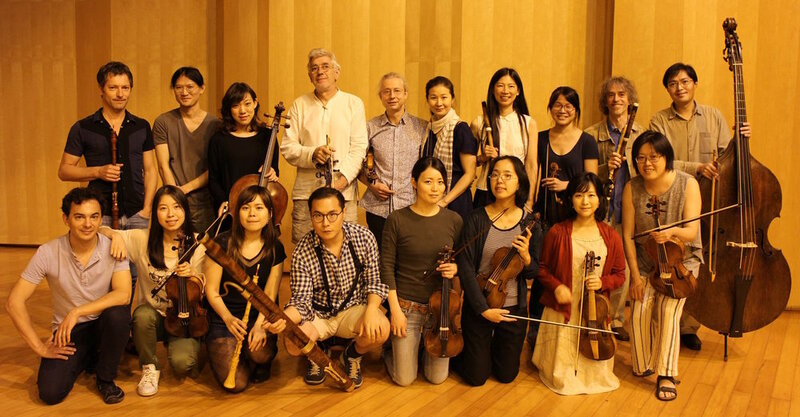 After its Taiwan tour with Baroque Suites and Concertos in 2017 and a project with Mozart Quartets and baryton arias in 2018, Formosa Baroque will have its first tour abroad and is invited by the Forbidden City Early Music Festival in Beijing and the Grand Theater in Tianjin.